Automotive air conditioning succumbs to a lot of problems over the lifetime of any vehicle. From weak airflow to leaks, mechanics and technicians know how to troubleshoot and fix almost any A/C system diagnosis that comes through a shop. However, you could be missing out on an opportunity to streamline your diagnostic and service time from start to finish. At Best Buy Auto Equipment, we proudly carry an entire selection of CPS AC machines that can make recovery, recycling, and recharging drained A/C systems a snap. Our selection of CPS Products AC machines includes top-of-the-line systems at every price point, so you are sure to find a solution that fits into your budget. All the CPS AC machines in our selection are built by technicians, drawing from a long history of design and manufacturing excellence. The CPS FA1000 Deluxe R134a system, for example, features patented motorized ball valves which eliminate the use of solenoid and check valves in the recovery and evacuation flow paths. The CPS FX134A Advanced R134a system comes fully equipped with an A/C system capacity database and quick access to all the functions you need from the main screen. Best of all, both of these CPS Products AC machines boast an ergonomic design that won’t take up too much space in your busy shop as well as an interface that supports multiple languages. In the market for an advanced A/C recovery, recycle, and recharge system? We have all your needs covered in this selection of CPS AC machines. Providing the latest in ease and endurance in the FX Series, both the CPS FX1234 Advanced 1234YF and the CPS FX3030 Advanced Dual Gas systems monitor filter life and refrigerant usage, so you and your technicians can focus on providing the best customer care possible to your clientele. 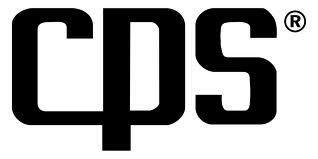 All CPS Products AC machines are certified to meet SAE J3030 for use in R134a and R1234yf systems. Not only do we offer free shipping on select products, but we also offer interest-free financing for up to six months. Feel free to apply today without any obligation and let us know if you have any questions while exploring our inventory.